Dr. Hisham Yahya Altalib, born in Mosul, Iraq in 1940, grew up in a religious Muslim family. He remembers his father as “hard-working, committed, and pious,” and that he maintained faith rituals throughout his life. This home environment nonetheless did not “push” Dr. Altalib to practice Islam. He pursued it on his own, and in seventh grade encountered a teacher whom he still remembers as his spiritual father: Abdulhafid Sulayman. Lacking a student organization in their new home, Drs. Altalib and Barzinji collaborated with other Muslim students to form the Muslim Student Society of the United Kingdom and Northern Ireland. The society met to socialize and perform community work and hosted student gatherings during school holidays and summer vacations when most other students left the campus. “We assembled, cooked and ate together, and provided a positive religious framework for students,” Dr. Altalib said. He graduated in 1962 with a B.Sc. in electrical engineering. Meanwhile, at this time, Iraq was undergoing dramatic social and political upheaval. Trends of nationalism, communism, socialism, Baathism, and secularism attracted young people and heated debate. In this environment, the MSS, a community of reform-minded Arabs and Islamists, promoted a moderate Islamic worldview. The group established a newsletter called “The Stranger,” based on a hadith or spoken tradition of the Prophet Muhammad: [include hadith about strangers] “We were about reform from the start,” Dr. Altalib said. “This hadith defined who we were.” Dr. Altalib hoped dearly to return to Iraq and contribute to spiritual and social reform in his home country. However, God had a different plan. After completing their bachelors of science degrees, Drs. Altalib and Barzinji returned to Iraq in 1962. Since military service was mandatory, they attended officer training college for six months that year, amid great political turmoil, counterrevolution, and a Baathist coup. They graduated from the academy with more than 1,000 other officers, but, known to the Baathist regime for their reformist work in the United Kingdom and Iraq, were summarily dismissed from service. Although now out of favor with the regime, Dr. Altalib remembers the dismissal as a time of relief. “Army service was a burden intellectually amid the military mentality to kill rather than engage in negotiations and team building. The military mentality at this time was not a civil viewpoint, and Iraq was now a police state.” Dr. Altalib worked as an electrical engineer with the Iraqi Petroleum Company from 1962 to 1968. Indiana, where he obtained his M.S. and Ph.D. in electrical engineering in 1974. Along the way, he discovered a path in Islamic leadership and da’wa, which broadened his focus beyond Iraq to the needs of Muslims in North America. He has not been back to Iraq since but hopes to find a safe way to visit in the future. 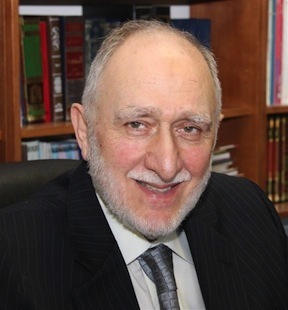 Throughout his career as an electrical engineer, Dr. Altalib was active in Islamic work in North America and continues to work in this field today. 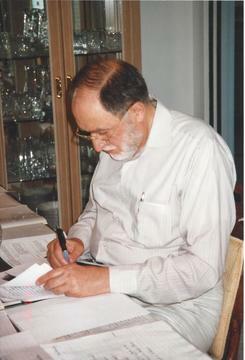 In Ohio and Indiana, while studying and working in engineering, Dr. Altalib became the first full-time director of the Training Department of the Muslim Students Association of the United States and Canada (MSA), 1975 to 1977. He and others directed the MSA based on the same principles that governed the MSS in Britain. Dr. Altalib conducted numerous training camps and seminars in the U.S. and abroad. He held several leadership positions in Islamic organizations, such as Secretary-General of the International Islamic Federation of Student Organizations (IIFSO) in 1976. Drs. Altalib and Barzinji worked in leadership positions in the MSA, which “like heaven for us, being able to work without fear of imprisonment. I felt welcome working in the U.S. We could write and speak freely and conduct meetings for peaceful and intellectual reform, and the sky was the limit.” The growing group discovered many leadership needs and opportunities among Muslim communities in North America, and formed departments in media, education, finances, and leadership training. Dr. Altalib was a founding member and director of the SAAR Foundation, 1983 to 1995. He was also a founding member of the International Institute of Islamic Thought in 1981 and is currently Vice President of the Child Development Foundation.